Under a railway arch in Liverpool’s historic Love Lane, the very street where the wealth of the Tate empire was once cultivated by the workers at the Tate & Lyle sugar refinery, is a dining and arts space that does things a little differently. This is the story of how it came about. 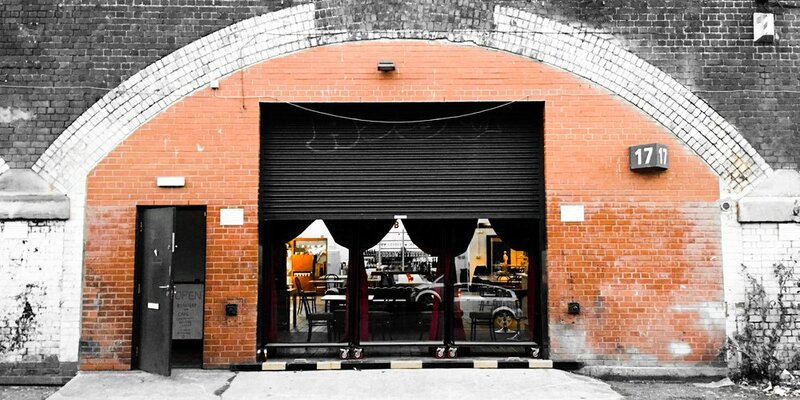 we came across an empty railway arch, it was perfect for storing the wine we had started importing from Italy and, with the rather appealing address of 17 Love Lane, it felt like it could be much more than that. We began importing wine from Emilia Romagna, the region described by Forbes magazine as "Italy's greatest gastronomic treasure", the home of Parma ham, Parmesan cheese, balsamic vinegar as well as the place that brought the world Ferrari, Lamborghini, Giuseppe Verdi, Pavarotti and Federico Fellini. Initially, our mission was to bring authentic Lambrusco to the UK, a wine traditional to Emilia Romagna and nothing at all like the sweet and sickly 'Lambrusco' available in UK supermarkets. Instead the real thing is a dry, crimson, fruity, slightly sparkling wine that is highly versatile and food-friendly. We had originally called our company “Love Lambrusco”, so when we found premises in Love Lane, it felt like it was meant to be. With Love Lane Wines, as we wanted to do more than just sell a product, we wanted to share an approach to living and convey the skill and passion that Italians put into everything they make and do.